Home News Lowly Likens New Caddy Search Akin To Finding New Girlfriend/Wife. Lowly Likens New Caddy Search Akin To Finding New Girlfriend/Wife. 8 months ago by Bernie McGuire Comments Off on Lowly Likens New Caddy Search Akin To Finding New Girlfriend/Wife. 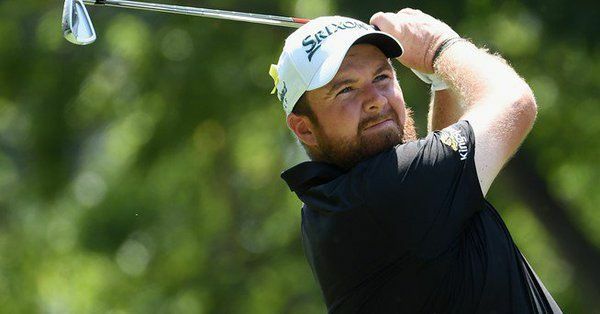 Shane Lowry has likened his task of finding a new full-time caddy as akin to seeking out a girlfriend and/or future wife. Lowry’s younger brother, Alan will remain on the bag for this week’s all-important PGA Tour regular season-ending Wyndham Championship before Lowry ponders his next move in hiring a regular caddy. Strangely, Lowry has recorded some of his best results in an indifferent season 2018 with his brother on the bag for a T12th finish in the Canadian Open, T15th in the Barracuda Championship and now T12th in Sunday’s exciting PGA Championship finale. It is easily Lowry’s most-consistent run of form all year and also since he and long-time caddy, Dermot Byrne parted after just one round at last month’s Open Championship. Shane Lowry likens looking for a new full-time caddy very much like looking for a new girlfriend and/or wife. And it’s been an already profitable three events for the Lowry’s earning $360, 267 (Euro 315,342) in prize-money and with ‘baby brother’ Alan no doubt on a 10-15% of prize-winnings deal plus a weekly wage. Lowry revealed he’s had offers for a full-time replacement caddy but it will all depend on what transpires this week and with Lowry, and currently ranked 136th on the FedEx Cup money list needing to be inside the top-125 on Sunday night if he’s to retain his PGA Tour card. “Alan has a full-time job in Deloitte and we are very lucky he was able to do these four weeks caddying for me,” said Lowry. “He is caddying for me this week, and then if I get in the FedEx, I will have to try and get someone for that, which I don’t think will be too hard. If not, I am going to have about five or six weeks off and then I will weigh-up my options. “I’ve not had too many offers but I am going to play it out until the end of the year and then see if I can get someone I want or I like. “It is tough because it is like trying to find a girlfriend or a wife as you do need you get on well with whoever you choose (smiling). “So that’s the way it is. I am very happy with what I am doing now, and I think there’s a possibility I might play in Portugal, and if I do, Neil Manchip (coach) might caddie for me. Alan might caddie in the Dunhill Links because he was due to come that week anyway. And as Lowry and his brother headed off to North Carolina there was clearly a renewed sense of self-belief in the Irishman. “It was great fun the last few days, as I said to Alan and my dad driving in to the course on Sunday, no matter what happens it’s been a great week, and it was,” he said. Lowry’s strong St. Louis showing has seen him pick-up seven spots and move back to No. 81 in the world. “I feel like I can get back in the top 50 in the world that way and I also feel like I have got my mojo back and I have a bit of confidence more than anything else. “I am going to Greensboro looking to contend as opposed to most of the year, going to try and make cuts. When you are trying to make cuts, you end up on the cut mark every Friday, and it just becomes demoralising. “It’s a horrible place to be. More often than not I came out the right side. New three-time Major winning Brooks Koepka is the new World No. 2 while Bellerive runner-up Tiger Woods has leaped from 51st to the new World No. 26. It is Woods’ highest World Ranking since he was 25th near the end of 2014.